The flowering of an idea began on the road trip with friends coming back from the 40th and final MichFest, a seasonal village born of that oft negated, experience the whispers of lost Amazon tribes and the Goddess herself, Michigan Womyn’s Music Festival! We came to experience the festival one last time. For those of you fortunate souls who have experienced “Michigan”, you understand. For those of you who did not-know that it will take a tome written by many hands to describe the transformative nature of that ephemeral village. We savored each final Michigan experience – kitchen shift chopping mushrooms, simmering herbal tea for an upset stomach in the Womb, making new friends in food lines, singing in a grove of trees, late night jams by a campfire, hacky sack circles with friends who met once a year, drumming up a cauldron of energy, witches, naked children, butches and healers and redheads… Aware this was the last, we savored each experience with wonder and appreciation but also grief. Recognizing that births were needed to offset this death, acorns began passing from hand to hand. ‘Rise and Propagate’ was the message. Some thought it corny, some thought it futile but many understood and heeded the admonition. For us, pollination had set seed. During the torch lit closing ceremony – musicians, some who’d been practicing for 40 years, sang to the Orishas, drummed to the Goddesses, and rapped to the people. It was a rare and precious manifestation of the magic, mysticism and power of women. So many shades and shapes and cultures embracing the beauty and the sacred. We wept – tears of joy and grief, to experience this tangible fruiting of women’s power right before our eyes. Some of us felt the acorn grow hot in our grips. On the trip home, and the weeks following the festival, our post festival conversations formed compost for our acorns. More than ever, we felt patriarchy’s groping hands seeking to press us back in the box. Having lost such a huge touchstone in our lives we felt compelled to find a way to manifest that magical healing energy and power. We were inspired to create a gathering to foster women’s healing and strength. So, along with our friend Sally, we enthusiastically (and blissfully naive) started a festival in our area, the Twin Cities/West Central Wisconsin, to be held at Laen’s farm. So began the Savanna Moon Celebration. We called it a revival of women’s music and ancient powers. We planned and produced and weed whacked and mowed our way into two years of festivals on the 80 acre restored prairie farmstead, Savanna Moon. We delved into sound engineering, sponsorship, marketing and Artist hospitality. Our intention is to celebrate and foster all that is precious, powerful and mystical in women. Our focus is to be a participatory event as well as a music and healing event. Ubaka Hill came and led her drumming workshops at our first festival. The second year, we expanded to include voice empowerment and singing workshops, Brazilian and West African drum workshops, music performances, a DJed dance, Dances of Universal Peace/Zikr and nature walks/meditations. 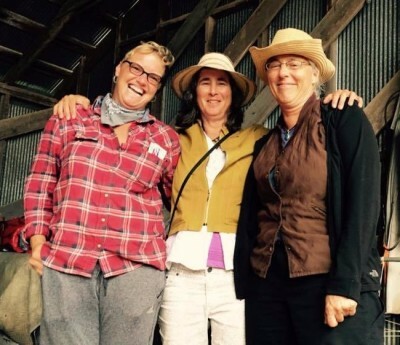 Next year we will be adding workshops on healing methods, yoga, contra dancing Most of all – we, and the women coming to the gathering felt it. The feeling of soaring on unclipped wings with plenty space and support to spread high, wide and wise. Both years women left the weekend with tears in their eyes. Tears of amazement, joy and gratitude. That has made all the energy and effort we put into this little acorn precious and powerful, for us and those who have joined us. The great Mother Oak of Michigan has ended … but the acorns have sprouted leaves.